Below The Cutoff: "Nice Pony and You Ride Him Well"
When I was younger, I revered the judge of any horse show I attended. The judge always seemed to loom larger than life. He or she basically had celebrity status in my mind. I couldn't believe it when I saw the judge doing something nearly human like coming out of a porta potti or ordering something from the food booth. Stars--they're just like us! I also distinctly recall the few times a judge spoke to me. One such time was during a test in a USEF Medal class and the judge was none other than renowned rider and trainer Victor Hugo Vidal. Victor asked the top four riders to jump a few fences and then approach for a question. No jump on that course was as intimidating as approaching Victor. I expected stern and severe, but I was met with a wide, friendly smile. In a soft voice, he asked me to name the parts of a horse's front leg from the shoulder down. I went through the names, grateful for my few years in Pony Club. Then, right before I departed into a canter to jump the remaining two fences, he said to me, "You have a lovely horse and you ride him quite well." Flash forward 20-odd years and I am now the judge, walking across a horse show with a senior judge when a young girl trotted by on a pretty pony. They were well matched and she sat correctly in the saddle. The senior judge, who had ridden in the Olympics, called out to her, "Nice pony and you ride him well!" "Did you know her?" I asked a few beats later. I couldn't believe this judge would take the time to compliment a rider who just happened to trot by. He shook his head and smiled. "Nope." I immediately reflected back to the girl I was in the Medal test long ago, and to other rare times as a young rider when a judge said something positive and personal to me. 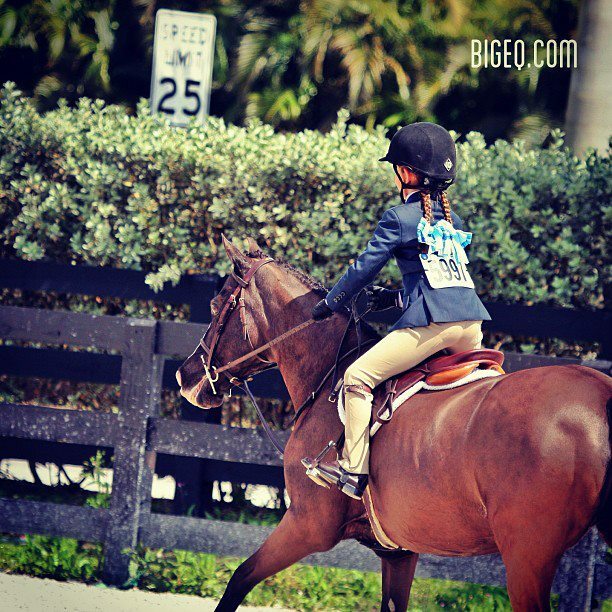 I thought to myself, I can do that now--I can be the judge who compliments a young rider. And I did when the opportunity presented itself at the very next show I judged. I learned more from walking across the ring with that judge than I did sitting beside him judging. I learned that judging is not all about evaluating performances in the ring. As judges we have to be professional and often that means creating distance between us and the competitors we're judging. Distance is something we have plenty of in today's world of screens and texts yet sometimes in the judging world there's not enough distance. At one show, judges are judging riders and at the next show they're hanging out with them at the in-gate or selling them a horse. That is the nature of our beast. So staying separate from the riders when judging is a must. But this senior judge and the memory of praise from the late Victor Hugo Vidal reminded me that every so often it's not just okay to compliment a rider, it's a wonderful gift of encouragement that could possibly mean more than a judge ever imagines. Kim Ablon Whitney is a USEF 'R' judge and the author of the Show Circuit novels.